Scientists from Tomsk Polytechnic University together with specialists from NTC Tekhnika proposed thermal non-destructive testing to inspect reinforced concrete supports. It enables efficiently and quickly detecting the corrosion of steel reinforcement hidden behind the concrete shell of the supporting structure. Developers have already studied 14 reinforced concrete supports in Tomsk region. The outcomes of the study were published in Applied Sciences. 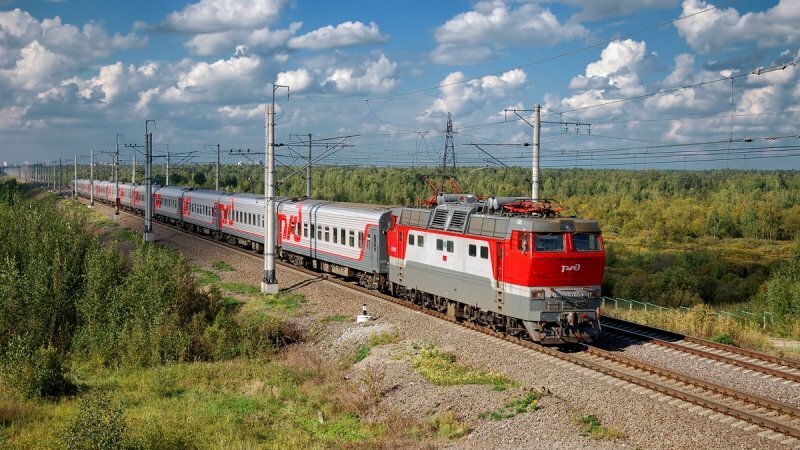 TPU Professor Vladimir Vavilov, the head of R&D Laboratory for Thermal Control says: “Now, all railways in Russia are electrified, there is a great number of supports for wires and auxiliary equipment along the railways. Like any construction, they have their service life, which is 50 years. As the service life expires, the supports become unfit for use with obvious negative consequences. It is impossible to replace all supports simultaneously. Therefore, it is necessary to identify those that should be replaced first. Ultrasonic testing is traditionally used for this purpose. Such testing takes up to one day. We propose thermal testing. To test a support, an inductor is placed around it, which presents an antenna heating the reinforcement inside the support. It is enough to heat the reinforcement a few degrees higher than the ambient temperature. The support heated with the reinforcement radiates heat, which is detected with infrared cameras installed at a distance of several meters from the support. A thermogram, e.g. a colorful image in infrared rays, which shows temperature distribution at the tested surface, is transmitted from the cameras to the computer. “It is enough to test the bottom part of a support with a length of a meter. The fact is that the metal corrosion is most likely in the place contacting the ground. In places already damaged by corrosion, the reinforcement is thinner, it is otherwise heated, which is displayed on thermograms. Up to the point, a thermal footprint disappears when air gaps and corrosion products occur,” explains the scientist. For data processing, the developers also apply a unique algorithm, which proved itself well in other studies in the field of thermal imaging. “The experimental part of the study was carried out at the Trans-Siberian Railway using an experimental facility for conducting induction and infrared thermal imaging. We tested 14 working supports. Data obtained from infrared cameras was confirmed through ultrasonic and vibroacustic tests. Upon the test results, two supports were replaced,” says Valdimir Vavilov.